As a young nurse trainee I was assigned an 80year old woman, admitted to hospital because she was dying. The lady had been admitted to hospital two weeks after the death of her husband of 50+ years. Her medical file was light on details: no sudden illnesses, chronic diseases or obvious causes resulting in her becoming bedridden and time-limited. Understanding what was happening with this lady was beyond me. As way of explanation, the charge nurse told me that the woman wanted to die. That after her husband, who had been sick with cancer for almost a year, died – she ran out of reasons to live and was now willing herself to die. As I gave her a bed-bath and changed her sheets, I tried to persuade the woman that there were many good reasons to be alive. Her eyes remained vacant and her lack of words told me that she was unconvinced by my arguments and determined in her own plan of action. She died on her fifth day in the hospital. Being young and inexperienced in most life matters rendered me incapable of understanding her lust for death. “Till death do us part” is part of a marriage vow originating from the Book of Common Prayer (originally published in 1549), still repeated in many wedding ceremonies conducted in the English speaking world. Rising divorce figures clearly indicate that an increasing number of couples are not taking this vow seriously, yet there remains a significant group of older adults able to legitimately celebrate 30, 40, 50 or even 60years of marriage. Getting old with someone you love is a popular romantic notion intrinsic is all societies. Generally over time romance diminishes and is replaced by more practical considerations like jobs, mortgages, children, vacations, aging parents etc etc. For better or worse, enduring partner projects are the things that glue many marriages together. 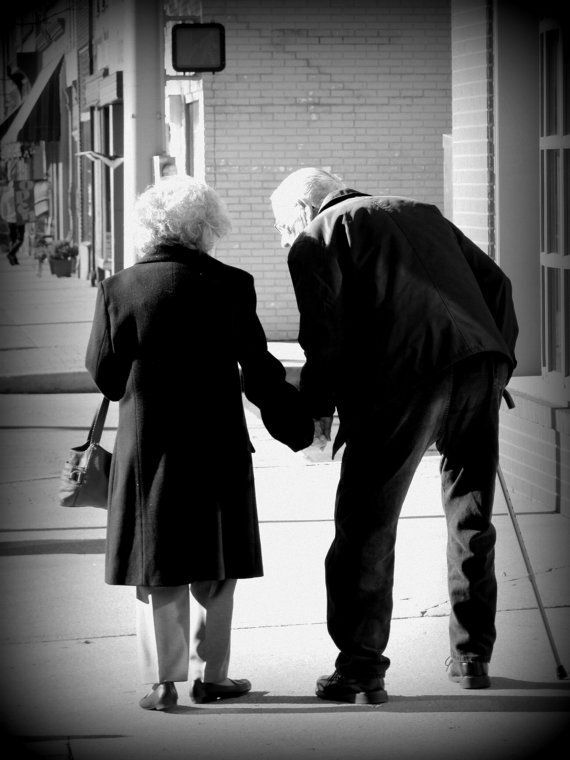 Increasing age comes with an escalating probability of illness and disability – often resulting in one partner taking on the role of care-giver for their ailing spouse. With most chronic illnesses, like dementia, this role can extend for years becoming heavier as the disease progresses. Spousal care-givers frequently conceal their exhaustion and difficulties, not wanting to admit defeat by asking for help to look after their partners. This can cause stress that negatively impacts on the care-giver’s health and ultimately leads to “caregiver burnout”. 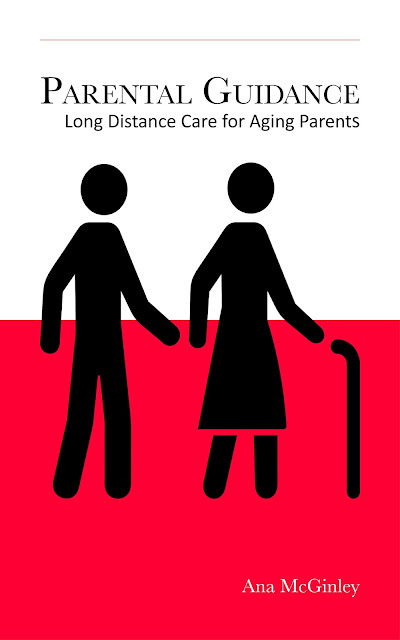 Assessment of an in-home care situation with older couples is difficult for families and professionals alike. Family members are often blind to what is happening in their parent’s home. They may believe that everything is okay and that their ill parent is having a rare ‘bad day’ when they visit or are unable to speak to them on the phone. Health professionals may be denied entry into the home and distracted from the truth by cancelled appointments and assertions that everything is fine. The threat of separation by hospitalisation or admission to residential care is a source of great anxiety for many older couples – as is the fear of being left alone. The irony is that accepting the help that is available can often extend the time a chronically sick person can be managed within the home environment. For a spouse, accepting help can mean taking a well needed respite break – whether for a few hours or a few weeks. A good example is that of the many dementia sufferers exhibiting nocturnal sleeping disturbances, often waking to loudly rummage through drawers and wardrobes. Caregivers quickly become exhausted when their own night sleep patterns are disrupted. Giving a caregiver a few hours to sleep, relax, go to the movies, drink coffee with a friend, take a walk, whatever the person needs to do to replenish themselves is not a luxury – but a necessity. It helps to maintain perspective and attachment to the world going on outside the home that holds them, albeit willingly, inside caring for their partner. Home care services, support groups, older adult respite care programs (day and longer term), informal help from family and friends – are all options available to support older adults caring or being cared for within their own home. While little can be done to lighten or remove the feelings of loss and sadness at seeing a life partner suffering due to illness, we can help to ease the daily burden of care by encouraging older couples to accept the services available to them. Most importantly, supporting the individuals, rather than seeing the couple as a single unit, will promote an individual acceptance of the situation from their own personal perspective - and relieve the unreasonable expectation - “till death do us part” .